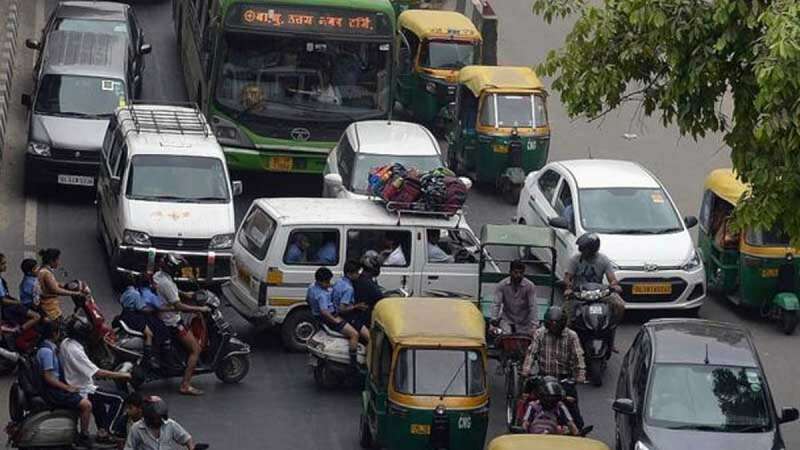 New Delhi : Noting one death every three minutes due to road accidents in India, the Supreme Court on Thursday issued 25 directions for road safety and directed all states and UTs to implement a policy on the issue with all "earnestness and seriousness". The court also issued time lines for the implementation of its directions, including setting up of State Road Safety Councils, District Road Safety Committees, Lead Agency, creation of Road Safety Fund and putting in place a Road Safety Action Plan, including Permanent Road Safety Cell. Impressing upon the states and union territories that road safety has to be taken seriously, a bench of Justice Madan B. Lokur and Justice Deepak Gupta also directed for setting up a special force to patrol the National Highways and State Highways for which necessary steps must be taken by the state governments and UTs. Identifying 'poor quality of roads and improper design' as main reasons for road accidents, the court directed the Ministry of Road Transport and Highways (MoRTH) to publish a "protocol for identification and rectification of black spots and take necessary steps for improving the design of roads to make them safe". The court's directions came on a public interest litigation filed in 2012 by orthopaedic surgeon Dr S. Rajaseekaran, who is Chairman and Head of Department of Orthopaedic Surgery at Coimbatore-based Ganga Hospital. The petitioner had suggested for practical measures in a time-bound and expeditious manner to enforce legislations, reports and recommendations for ensuring minimum loss of human lives in road accidents. Rajaseekaran estimated that 90 per cent of road accident deaths were a result of "lack of strict enforcement of safety rules on roads and lack of strict punishment for those disobeying rules". The other directions issued by the apex court includes traffic calming measures, road safety audits, engineering design of new roads, working group on engineering, drivers training, lane driving, imparting road safety education, installing of speed governors, putting in place emergency medical care and universal accident helpline number, collection of data on road accidents, and bus/truck body building code. Commending efforts put in by amicus curiae Gaurav Agrawal and the Justice K.S. Radhakrishnan Committee on Road Safety, the court said its directions were agreed upon by parties concerned and none are difficult to comply with.